Gallet Flight Officer from 1939. 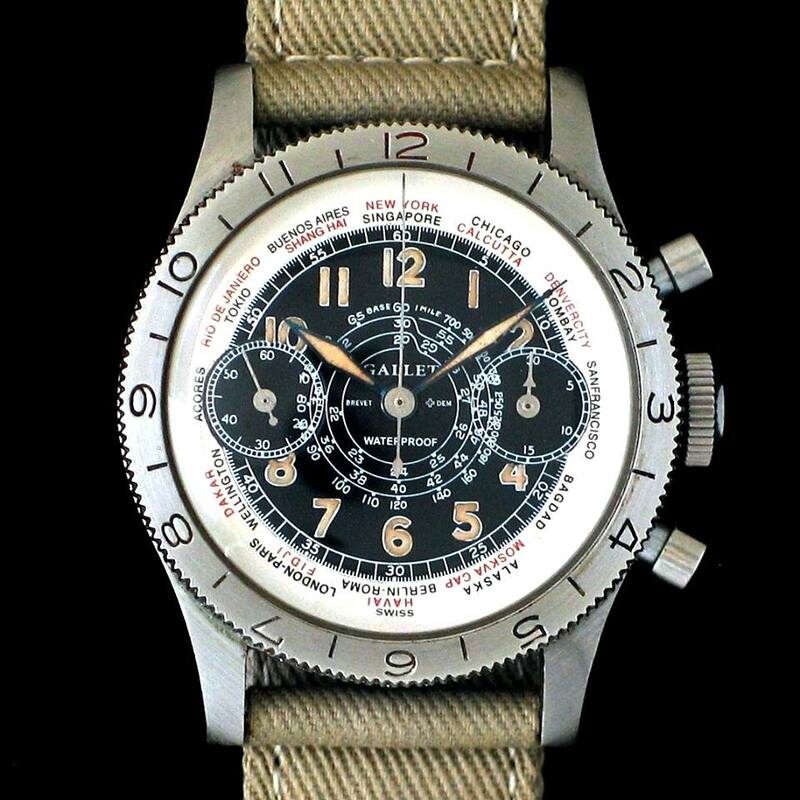 The world's first pilot's watch with multiple time zone calculator. 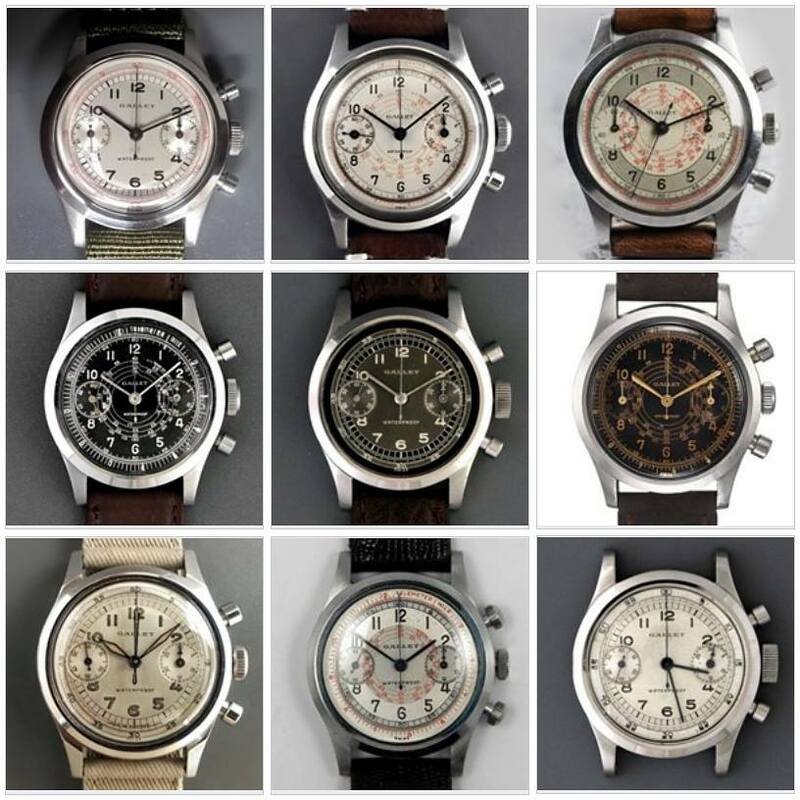 9 Gallet MultiChron Clamshell chronographs from the 1940's with 9 different dials (faces).